The Happy Lesbian Housewife: Where is my "toaster oven" dammit? Ummm...ok so we didn't do it quite that quickly...but we did it. We moved in together! We have a life. We have love. We have a family...well, a little dog, 2 BIG puppies and a cat. But they count, right?? We also have "family". A lesbian couple that would do anything for us and their son, our nephew. So there...we are officially a couple. My big question now is: "Where is my toaster oven dammit??" If you don't understand what I mean by that...well, I'll explain it. Ellen DeGeneres made the toaster oven joke famous. The joke is based on the premise there is some secret-society lesbian recruiting service – kind of like Amway – that gives out toaster ovens when you "turn somebody gay." 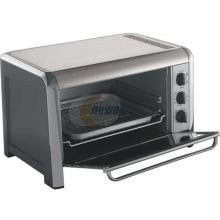 So my sweety who, in some peoples eyes, converted ME told me that we would get a toaster oven. Well, how exciting! I have always wanted a toaster oven. We have been living together for 11 months now and it has still not arrived. I do the biggest part of the cooking and could really use this in the kitchen. Does anyone know how long it takes to arrive after the "conversion"? Is there a time specification to see if the lesbianism "sticks" after said conversion? Who can I ask? Who is in charge of the secret-society lesbian recruiting service? If anyone out there has the phone number, could you please send it to me? It would be much appreciated as I am on a budget and getting the aforementioned FREE toaster oven would make me such a happy camper...well, we don't camp but you know what I mean. I would appreciate any answers, phone numbers, or secret society addresses that anyone may have. I will let you all know when the oven arrives. Heck, I will even invite you over for Baked Ziti!